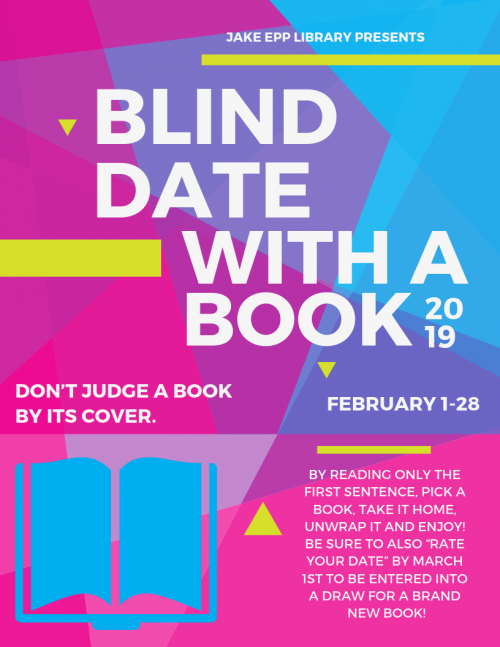 Join us for our annual Blind Date with a Book event! All you have to do is check out a wrapped book, read it and let us know whether or not you liked it. For each book, you will be given a “Rate your Date” ballot. Each ballot filled out will be entered into draws throughout the month of February for free books.